UF/UF 162: Breaking up is hard to do. First Sean Spicer left the podium in the White House briefing room for “broader responsibilities”, then Phil Mickelson and his long time caddy Jim “Bones” Mackay broke up after 25 long years together. Now? 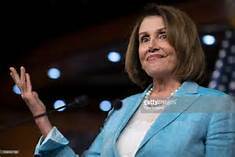 Democrats want Nancy Pelosi, long time leader in the House of Representatives, to step down, get out of the way, in fact just go away. Nancy says no way Hosea, she’s staying. Look Nance, don’t make this anymore awkward than it has to be. Click the link and see how this all plays out. This entry was posted in Podcasts, Politics and tagged Bones Mackay, Nancy Pelosi, Phil Mickelson, Press Briefings, Sean Spicer, trump. ← UF/UF 161: Ugly Has a New Face.